Joining Bart this month are the Tech Doctor Robert Carter, and Dermot Daly from Tapadoo. 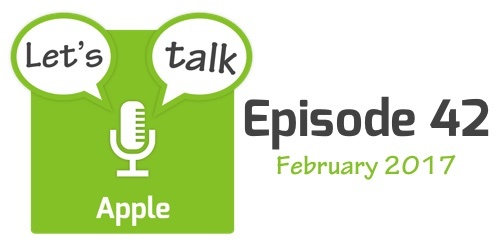 The show starts with some quick followups to stories from last month, before moving on to look at a few notable numbers and Apple-related legal stories that made the news in February. The three main stories are reports of more connector changes for Apple, Apple’s 2017 annual shareholder meeting, and Apple’s response to roll-backs of protections for trans kids by the Trump administration. The show finishes with a quick rundown of some other shorter Apple-related stories that made the news in February.